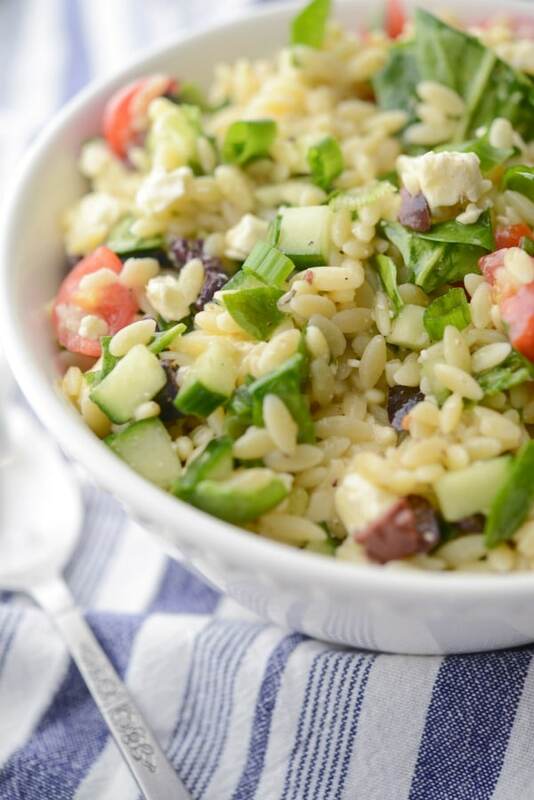 Greek Orzo Salad made with Orzo pasta, Kalamata olives, cucumbers, tomatoes, spinach and Feta cheese in a light lemon, oregano vinaigrette. They have a really nice pre-made salad counter at my local grocery store and though I’ve never purchased anything, I like to look to see what they’re whipping up. 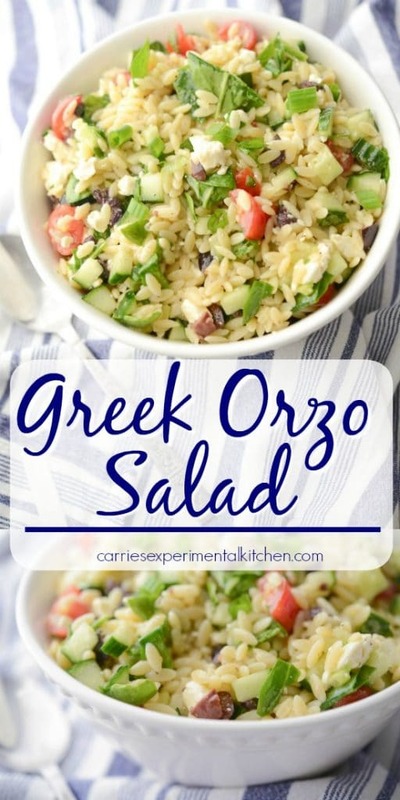 One day I noticed they had a salad called Greek Orzo Salad and just by looking at it, I could imagine all of the wonderful flavors and how good it must taste. I decided that I was going to make my own version when I got home and as I meandered down the aisles, I started adding things to my cart that weren’t on my shopping list to make this salad. Several years ago, we had the good fortune to visit several cities in Greece including Santorini, Corfu, Olympia and Athens and had the time of our lives. What stood out most, besides the beautiful, historical architecture and friendly faces, was of course the food. It was amazing! 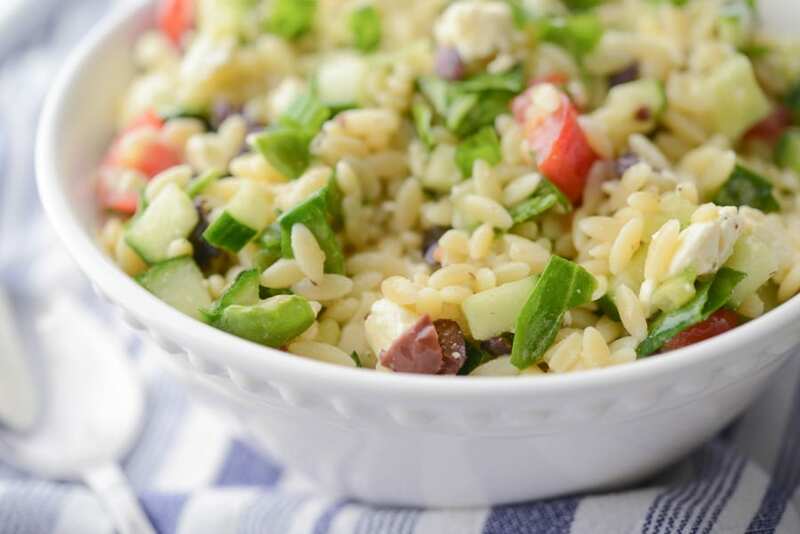 Whenever I think of Greek food, my mind automatically goes towards Kalamata olives, Feta cheese, lemons and oregano and I just love those flavor combinations so I knew we would all love this Greek Orzo Salad. 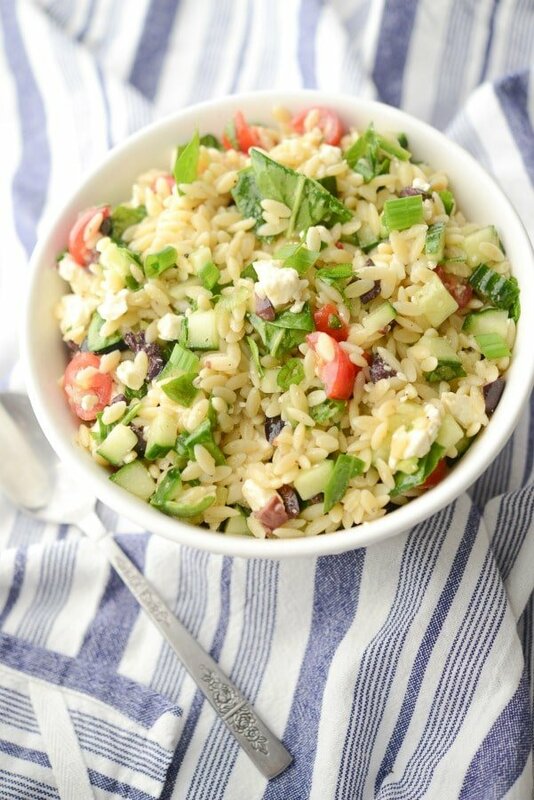 For this recipe you’ll need Orzo pasta; which is rice shaped pasta, Kalamata olives (preferrably pitted), English cucumbers, grape tomatoes, scallions, fresh baby spinach, crumbled Feta cheese, EVOO, lemon juice, oregano, Kosher salt and fresh ground black pepper (I used dried oregano this time since the fresh oregano at my market didn’t look very fresh). Heat water over high heat in a pot with a little salt until it comes to a boil; then add your orzo and cook the pasta until it’s al dente. While the pasta is cooking, dice your vegetables and add them to a mixing bowl. 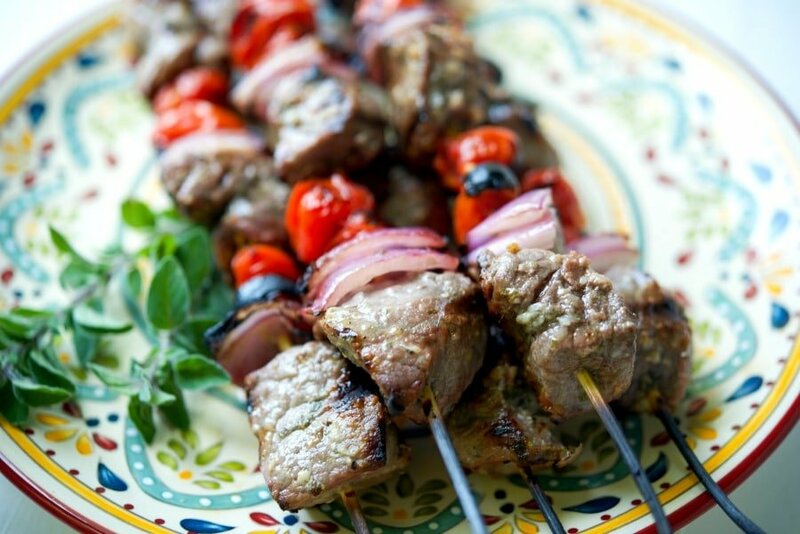 Next, whisk the oil, lemon juice, oregano, salt and pepper together and set aside. When the pasta is cooked, rinse it under cold water, drain well and add to your mixing bowl; along with the dressing and toss to coat. 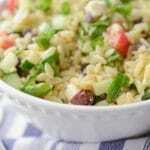 You can serve this salad at room temperature or refrigerate until cold. This Greek Orzo Salad was a HUGE hit in my house and it didn’t take long before it was gone. 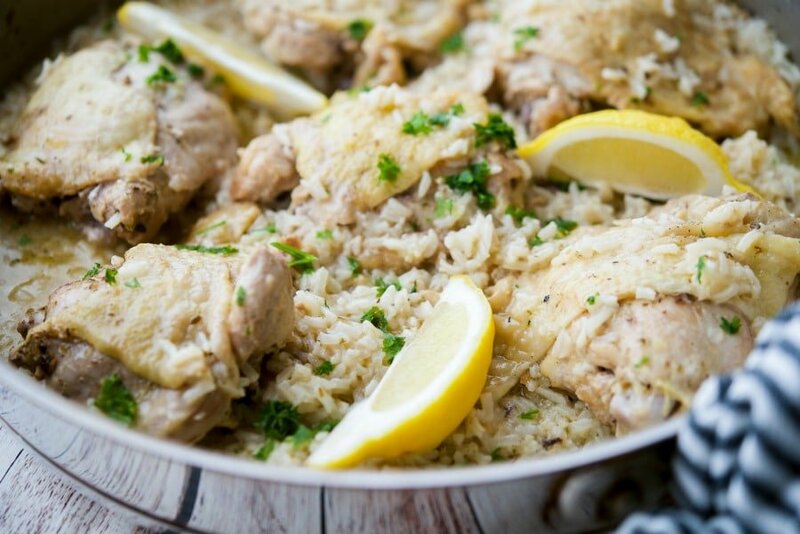 This recipe makes 6 cups and was so light and flavorful. I’m so glad I decided to make this salad; especially now when the weather is cold and dreary because it certainly lifted our spirits. ~Enjoy! Heat water over high heat in a pot with a little salt until it comes to a boil; then add your orzo and cook the pasta until it's al dente. 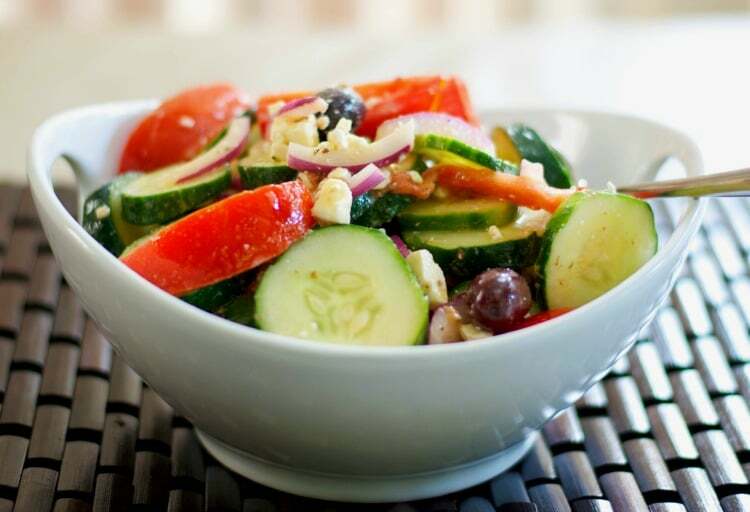 While the pasta is cooking, dice your vegetables and add them to a mixing bowl. 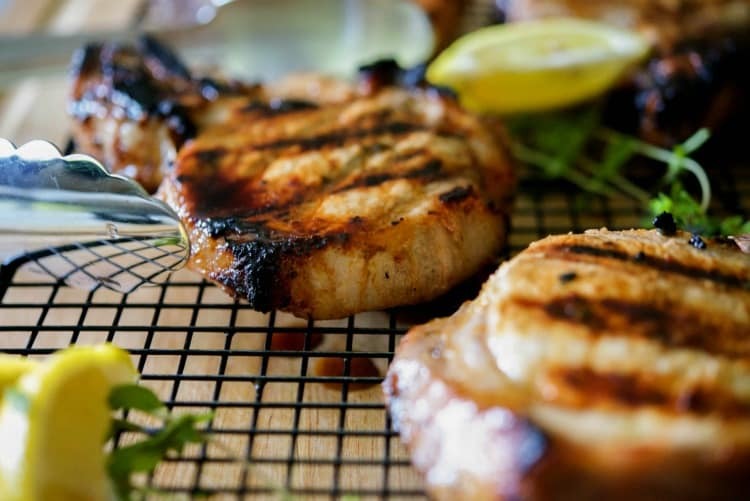 Next, whisk the oil, lemon juice, oregano, salt and pepper together and set aside. When the pasta is cooked, rinse it under cold water, drain well and add to your mixing bowl along with the dressing and toss to coat.